We get more calls from people asking to buy direct than you can imagine. Our Customer Experience Team is always happy to help but in the end we ask for their zip code so we can direct them to one of our Authorized Dealers. As more of our competitors shift towards a “direct” model (B2C) we’re focused on developing relationships with the right partners. The majority of masons and contractors know how to install natural thinstone veneers but if it’s your first time or you are a homeowner, you may have some concerns. 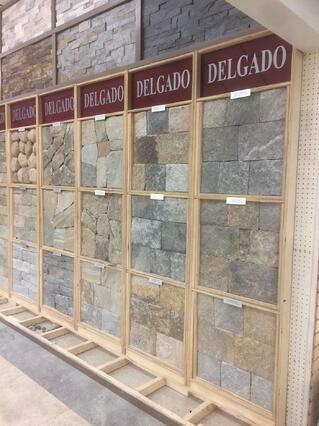 People hear the words “natural stone” and think it’s a heavy and complicated process. While we often recommend working with a mason or contractor there are some brave enough to attempt this on their own. This article is for you. It’s a difficult time to be a natural stone mason. Like any skilled labor, it is a very competitive industry and will continue to be more challenging as technology, product improvements, and Do It Yourself’ers drive the price down. The truth is that a great stone mason can turn the most ordinary project into a work of art while an average or poor mason can ruin your vision and cost you a lot of money.